Looks like Facebook is making restrictions into this. Note that, this tutorial is not officially supported by Facebook. You can say this is a trick or a hack. So, no guarantee whether this will work now or in the future. This worked before, but it has been noted that Facebook is restricting this "hack". 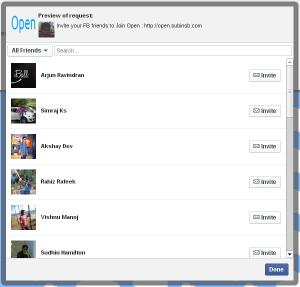 There is an Invite feature for Facebook apps. Inviting feature helps your site’s users to invite their friends to your site. This increases the traffic and will make your site popular. 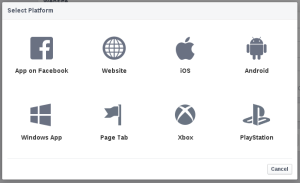 All you should need is a Facebook App to implement this on your site. Add your website URL is "Site URL" and the mobile site URL if it have any. Add the facebook_app.html page to your site’s "Canvas URL" and "Secure Canvas URL" with the "?fb" parameter, because Facebook won’t allow you to add a page to URL without "?" character. Create an invite page (invite.html). Add the following code inside "
Replace "app_id" with the Application’s ID. The "Done" button should be clicked after clicking of "Invite" buttons near the friends’ names. You are being redirected. If not <a href="http://yoursite.com/" target="_top">click here</a>. Replace "yoursite.com" with your site’s URL. 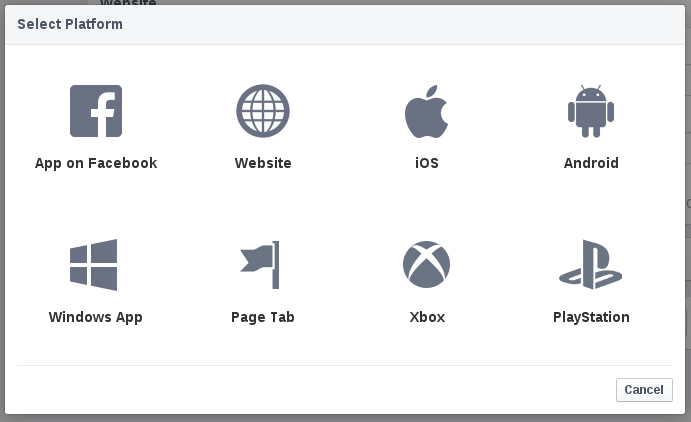 When the user goes to your Facebook App, the canvas is loaded with the "facebook_app.html" of your site which will redirect to your main site. Sometimes Facebook will ask for Secure Canvas URL. In this case upload the HTML file to Services that provides HTML hosting and has a SSL certificate. Google Drive offers this feature. Hope you liked it. If you have any problems feel free to comment. I will help you.